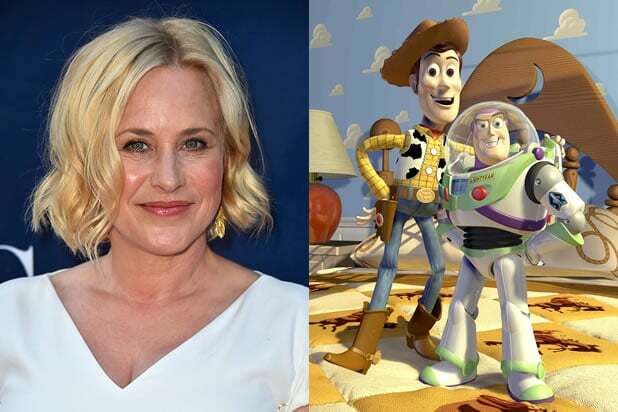 Having just won an Oscar for her supporting turn in “Boyhood,” Patricia Arquette is in talks to join the voice cast of Disney and Pixar’s “Toy Story 4,” an individual familiar with the animated sequel has told TheWrap. A representative for Disney declined to comment. John Lasseter is directing “Toy Story 4,” for which Tom Hanks and Tim Allen will reprise their roles as cowboy Woody and spaceman Buzz Lightyear. Rashida Jones and Will McCormack wrote the script for “Toy Story 4,” which Lasseter has said will be a love story between Woody and Bo Peep (Annie Potts). Arquette is expected to voice a laid-back mom who’s described as a hippie, according to an insider. Arquette currently stars on “CSI: Cyber” and will soon be seen alongside Vincent Piazza in the indie crime drama “The Wannabe.” She also executive produced and appears in Kamala Lopez’s “Equal Means Equal,” a documentary about female empowerment. Arquette is represented by the Gersh Agency and 3 Arts Entertainment.